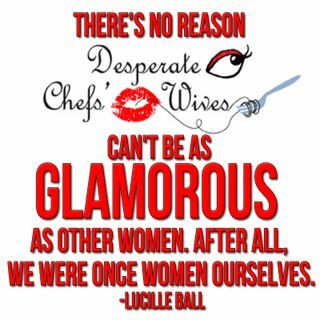 Desperate Chefs' Wives: Who Wins? Who Loses? Without giving away too many details that really aren't mine to giveaway, Erik was given an opportunity- a fabulous opportunity to be the chef at a new restaurant. But I am not thrilled, not at all. It would mean moving to Chicago. It's not the moving that concerns me, it's not the thought of having to find a new babysitter or house, it's not even the thought of having to search and land a new job. The single greatest reason that I didn't say yes right away is my career here. But it seems that Erik thinks because I make less than him, because I'm not motivated by awards, recognition, or reviews for what I do-well it must not be that important. If I got an incredible teaching or administrative opportunity that required us to move Erik wouldn't do it. Not ever. So what is my value? How do the votes work around here? Do I get a certain percentage of votes based on my salary? Isn't everything equal? 50/50? HA, not in this world. No way. Let's not forget I moved to NY 7 years ago, transfered schools and uprooted my whole life to be with Erik. It was a great decision that afforded us both some amazing opportunities, including the job I've got now. I'm torn about this whole thing. A marriage is a partnership of two people willing to make sacrifices for each other. So am I a bad wife for not wanting to move? 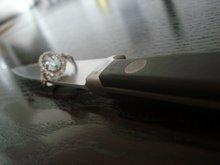 Is is he a bad husband for asking me to? If we go then I'll resent him for taking away a job that gives me opportunities to grow and learn that I wouldn't find anywhere else. And if I say no, then Erik will resent me as he reads all the articles about how fabulous the new chef in Chicago is doing. Who wins? Who loses? And why does it always have to feel that way? Sometimes it feels as if Erik is a teacher hater just like the rest of America is right now. But I know he's not. He adores what I do and he is my biggest fan. It's just that for Erik, the chef coats are gleaming a brighter white than the chalk on my board. Everything should be based on the good of the family, not just of the individual. No one hates teachers....just the unions you belong to. Are you really happy that your union dues are being spent by the union bosses without your input? Are you OK with the fact that they spend millions & millions on ad's...political ad's? Are you really happy that bad teachers continue to receive benefits and keep the teaching positions that good teachers need? Our former Governor in New Jersey, Jon Corzine...raided the pension funds of the teachers union with no plan on paying any of it back. No one can actually state where the money went. If Governor Christie didn't do something, the plans would be bankrupt. Then what? Your union boss couldn't care less. So you have to kick in more for your healthcare. Join the club. As far as your husband wanting to move for work. There is an easy solution. Choose which is most important to you. Your job or your husband. I disagree that no one hates teachers. Yes, unions are under fire, but individual teachers are abused everyday. I don't like the phrase "bad teachers"; there are struggling teachers and they need help and support. It sounds as though by your comment, "at least you have a job" that you're suggesting I am unhappy with my job. Actually most of your comment had an angry quality to it. I'm glad you wrote in and I hope you continue to read. I don't approve all the things the union does, but I see the most immediate change is needed within the school walls. But enough about school stuff- this blog- for the most part- is an escape from all that. Once in a while my career and Erik's career. cross. In the end we decided to stay here. I"m sorry that you feel like you're in a corner...lose lose for you. You guys are a family...and yes, the kitchen thing is sometimes overpowering and feels like a monster you can't run from. Try and have the two of you make the decision based on what's best for the family and not solely based on E's career...because YES, you have one too!!! and NO less money doesn't mean less votes!! On the bright side, Chicago is great! NOT only good restaurants, mostly it's a great place to raise kids!! Don't forget, we lived in NYC, then SF, and chose to move to Chicago...not just to open restaurant (L2O), but because it was a win win...great for him, great for me and great place to raise kids....!! There is a public school system here that I'm sure could use you!!! Hang in there!! Remember FAMILY!!! anonymous #2 your post is totally irrelavent and uncalled for. What does Hilary's post have to do with the unions? Anyway in my opinion providing someone with an education versus feeding someone is much more important. So your job is just as if not more important in the grand scheme of "life". Giving a student an education, a mentor, a friend, the ability to read and write the power of knowledge how do you compare that to the glory of being a chef? And lastly in Hilary's defense she wasn't saying her job was more important than her husband. She was saying her job should be just as important as E's job. But Hilary I'm glad that you guys came to a decision. Can I ask what made you to decide in staying. Definitely a difficult decision I'm sure. since "Bean" has spilled the beans...I know, bad, but really I couldn't resist...Can you share what was the deciding factor in such a huge decision? I wish you well and Chicago would have wrapped our mid-west arms around you! We decided not to move to Chicago. It had absolutely nothing to do with the fabulous city or the opportunity Erik was faced with. Basically I made the decision not to go, because had Erik been a bachelor, he would have been packed the second he heard about it. So it all came down to me and I decided that the way my career is going right now it's just not worth the risk to move. If I wasn't working I would love to go. But the fact of the matter is: I have a fantastic job that does not exist anywhere else. Needless to say when I told Erik he was upset and I know he's still sad about it. This may sound nuts, but I'm upset too. I'm upset my husband doesn't know how much my school means to me. But hey- we're working on it. Good for you! It sounds like you made a decision not only for your career, but for your family. You're clearly a strong woman! Things may be tough for a bit, but there will be more opportunities for you both! Job jumping is not easy for us (the wife). We are moving from the caribbean PR to NC the next summer, because my chef will work in his parents new deli, and in the future his own restaurant. So, baby Gianni will raise between the kitchens. I don't know if it's a good idea. We sold the house, the cars and everything to start this new adventure. So, I'm very anxious. I work as a document control (contractor) in the manufacturing industries and I like my job, but I need a new experience, see other places and improve the English. We took this decision like a learning process to our live as a family. But, I think we are always thinking about our husband career. Maybe for make them happy and sometimes we don't take care about what we really wants. So, Hillary that's a good decision!!!! ill be in this boat too once i get to the point where i can transfer. its either me go to school and leave him behind, or find a city that would both benefit us. we're thinking NY or Chicago. The mesclun is always greener on the other side!! We found that out the hard way, after my Sweet Hubby decided to jump ship on a job that gave him daytime hours (home by 5 everyday, holy cow!!) in the pursuit of a bigger dream. Our agreement was that he would take the job, as long as he made it clear to future employer that he needed to be home a few nights a week for dinner. Well, three years and one more kid later, he hates this job, never gets a night off, and I am just ticked off when i get thinking about it. Glad you got to weigh in on the decision and keep your family status quo for now. Hi girls, let me try to see if this gets published before I write the all thing. Wow Hilary! You are so strong! I think you did the right thing. this comes from someone who did it the other way around. I left few good careers because of my husband's. Yes, I was lucky enough to be offered few good opportunities in my working life. 17 years ago when I left my Tour Operator career in Italy to follow him in Australia, I wasn't very worried about. I was young (29), strong and the working market in the world was also in better health. I did a bit of everything before winning an assessment as radio broascaster at the SBS radio in Melbourne. 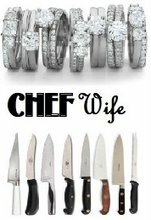 I was happy and proud but my husband got offered a job as personal chef of a world renowned Italian Stylist in NY and he didn't think twice. I passed my job to the second person after me. Was I sad? Yes, but LOVE was everything to me. Eventually he jumped into hotellerie and moved back to Australia (Queensland). Then we lived in Qatar, Dubai, Dmascus, Sardinia and now Bangkok. I got another beautiful opportunity in Qatar but I never taught to my husband to think as a family. I just gave him myself 100%and always went into the direction to sacrifice myself because I am more versatile, because I am not a career woman so any creative job would do for me, because I was expecting to fall pregnant soon and I would not have minded to be a full time mother. But this didn't happen and after I left another good opportunity when still in Dubai, we moved to Syria where accompanying woman cannot work. First time in my life to be at home but being a chef's wife means you can't share anything with your husband as far as running a house and also adjusting in a new country always takes sometime so I tought I could make it. I did and I am also doing it here in Bangkok where I am also considered an accompanying wife but if I look back, I think I was pretty naive to let everything go like this. I behaved as if Love was more important than everything else. I still love my husband and I have no resentment most of the times but sometimes this thought becomes hostile and I do have an internal battle. I don't know what the right thing is, I don't know if it is possible to win both but even if I don't feel like criticizing woman who do make my same choice, I admire your ability to focus on yourself. PS I apologize for my English. Roberta: First of all your English is great! I was so glad you read your comments on the other posts as well. I cannot believe how many fascinating places you've lived. That's amazing. But you've got to have struggles with "following" your husband around. How to do you busy in a new country that you can't work in? Are you able to visit family or friends often? Your cultural knowledge must be vast- maybe you could write a blog, or a book! Thanks again for visiting and I hope this blog continues to help you. Wow! I feel so excited you read my post. Hilary I have to admit so far I have only used intenet for emails,for general documents and for web surfing in search of whatever I was needing. At the end of May I decided to open up a shop on the internet where I sell hand made (by me) ceramic jewelry that I sterted to make when I was in Damascus and with this I answer to your question: how do you keep busy in a place where you cannot work. I don't mean to use this space, that is yours, to have publicity. I am just saying this because it is part of my effort to have a meaning personal life even as an non working (officially) expatriate following wife. My intent is the "Desperate intenet" to finally have an occupation that I can bring with me all over the world. Anyway before May, no post, no personal exposure for me on the web. After my shop, something must have loosen my pen because I decided to open a blog called La moglie del cuoco (the chef's wife). Then I realize this must have been in English because the people I know is people from all around the world. Then I had my NO phase because I was afraid for my English (I wish I could write like you! ), then few days ago I finally decided to go into and after writing my first post, I was trying to search my adress and I realized it is plenty of similar title and I soon felt like I was steeling something to somebody without knowing. Then I realized any one of those has its originality and its way to be. Anyway, yours is unique and the one I liked more. I felt a kind of strong compassion reading you and the others, I really felt I was not alone in the world anymore and I intend to be with you girls in the future. I would love to share my life on your blog if you think this would be of any interest. :) I understand you... I am a chef girlfriend and I have exactly the same issues than you... just found this blog randomly and I'm so glad because we're actually being through a crisis due to his stress in the kitchen which means no more time for us, no more intimacy, he's grumpy all the time,... I though he didn't like me anymore so we had the big talk about it but he was devastated just thinking about the idea of me leaving him... he's lost a lot of friends in London (where we live) because of his 16 hour shifts and I've been his best friend here (and his lover as well!) always there... I work from monday to friday office hours and because we do not live together some nights I have to do the big effort and surprise him waiting for him out of the restaurant at 1 or 2 am just to see him a little bit! !